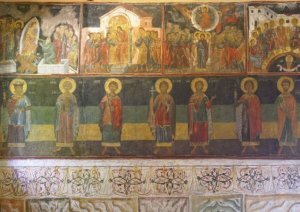 Bulgarian fine arts is an online gallery where you can browse, enjoy and buy art pieces. 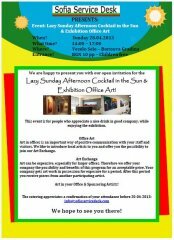 The gallery contains 1398 artworks by 408 Bulgarian artists and is aimed at promoting modern Bulgarian art. For your information: the Sofia Service Desk is a brand of the International Hospitality and Facility Services Group. The Sofia Service Desk organises events and provides services to expats and companies in Sofia. Your... more..
humanimals an infraspecies exploration Venue: Baba Vasa's Cellar Marica 22 Street Shabla, Bulgaria Opening: 10.08.2012 Curator: Axel Stockburger Artists: Søren Engsted (DK) Karine Fauchard (FR) Julie Gufler... more..
An exhibition dedicated to Bulgarian icons has been opened in Paris, to mark the 130th anniversary of the establishment of diplomatic relations between Bulgaria and France. ‘The treasures of the Bulgarian icons'... more..
Depeche Mode have cancelled a second concert this time in Istanbul, Turkey just 4 days before their planned gig in Bulgaria. 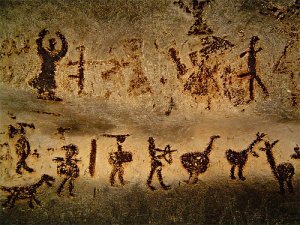 The band issued a statement announcing that it was a "severe bout of gastroenteritis" that sent... more..
A photo exhibition of the unique inaccessible prehistoric images from the walls of the Magura Cave in north-western Bulgaria, has been put on display at the cave's entrance. 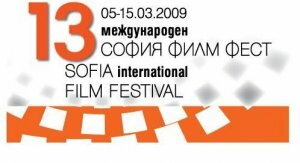 Many of the paintings, which have been... more..
For a 13th year Sofia International Film Festival will gather together in Sofia films, guests, stars, journalists and lovers of good filmmaking. 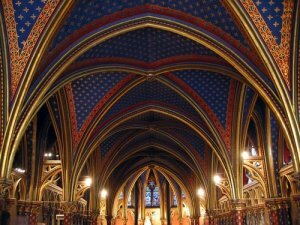 Featured in Variety’s Top 50 unmissable film festivals, the largest in... more.. The exhibition “Bulgarian Monuments under UNESCO Protection” from the Travelling Exhibitions Programme of the Institute for Culture was presented in the capital of the Kingdom of Thailand during Ambassador Irina... more..
was opened at the National Gallery for Foreign Art. It was organized by the Ministry of Culture of the Republic of Bulgaria, the Ministry of Culture of the Russian Federation, the State Reseach Museum of Architecture... more.. 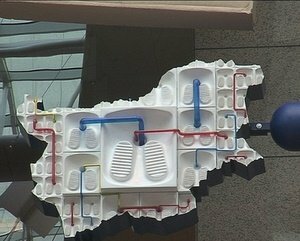 The work of Bulgarian artist Elena Zhelebova, depicting Bulgaria as a toilet, has stirred controversial reactions in Bulgaria. Photo by Darik The Bulgarian artist Elena Zhelebova, who stirred a scandal for her work... more..